Broth made from organic beef bones and vegetables is so rich and nourishing. Use it as a daily tonic, to make a batch of flavoursome soup or to add to stews and casseroles. When you make it yourself you know exactly what is in it. Using a slow cooker and the brown, chop and throw together method of cooking makes this super easy! 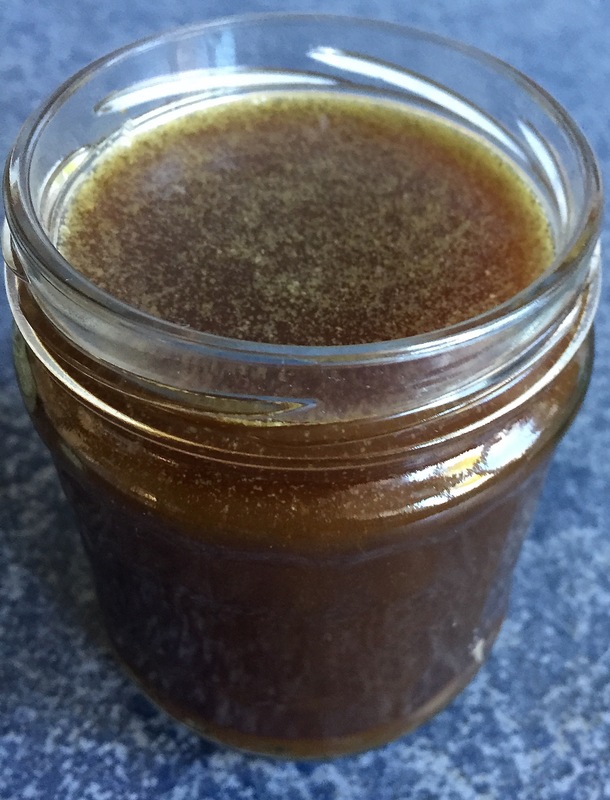 My last batch of beef bone broth gave us over 2 months of rich goodness. But I’m onto my last frozen batch so it’s time to brew up some more. The recipe is pretty fool proof. 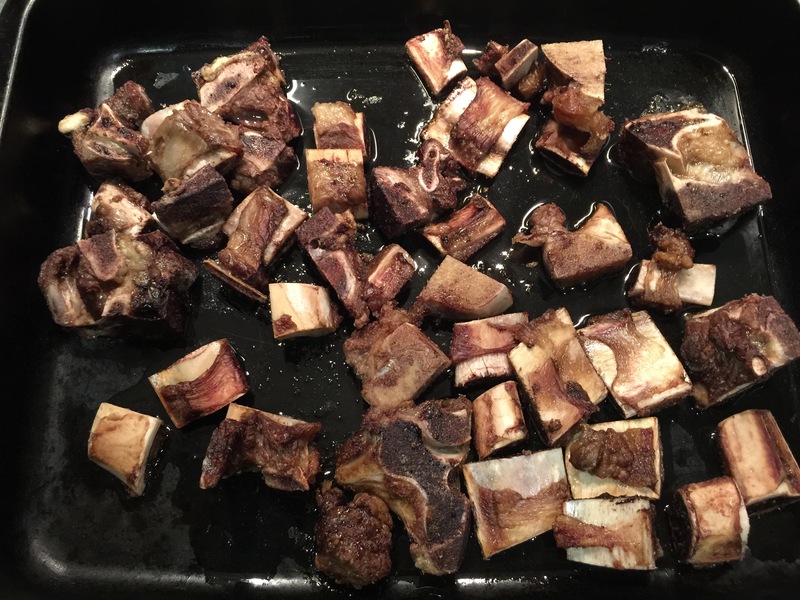 Grab a bag of organic beef bones – if you can get a knuckle or joint bones, or even calf’s foot (eww), even better. Place them into a roasting pan with some beef dripping or tallow or ghee. Roast for 15 minutes until brown. Or until they are brown. While the bones are roasting gather a couple of organic carrots, an onion or shallot or two (I only had one in my vege drawer), and a handful of celery. A tip here is to keep and freeze any chopped bits of celery tops and chunky bottoms. You may have some left over from when you made Shepherd’s Pie! 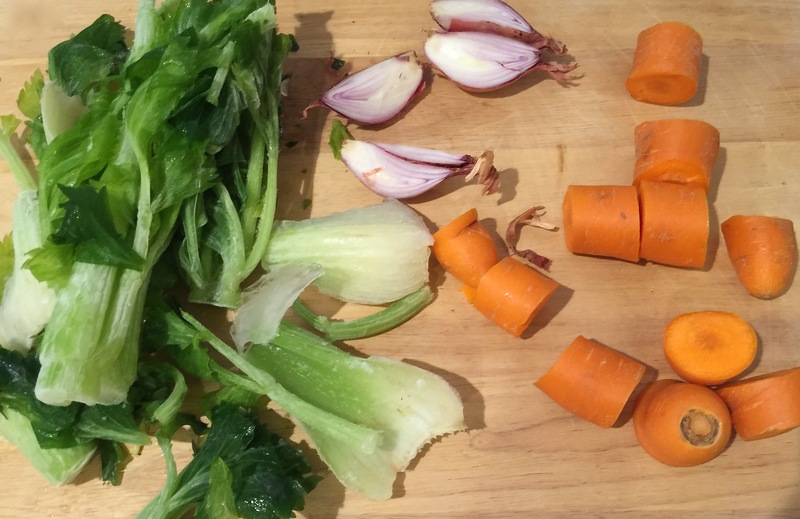 Give the carrots and celery a wash, then chop them and the onion/shallot into chunky pieces. No need to peel. You can see that I am using frozen celery so I just left it rough. Put meat and veges into your slow-cooker and add some apple cider vinegar and enough water to cover. Cook on low for 24 hours. Give it a stir every now and again, not really necessary, but if you are curious like me, I like to see how it’s all bubbling along. Cool, drain, then store in fridge for 5 days if you think you will use it all up in this time. Alternatively place into small containers and freeze for later. I use silicon cupcake moulds to get 1/4 cup amounts. Once frozen I pop them out of the moulds and store back in the freezer in ziplock bags. Now don’t you feel so virtuous and homely? Chicken broth is pretty much the same except for the meat, of course. You can find the recipe for this here. 500 – 800g organic beef bones, include some joint bones if you can or be daring and add in a calves foot! 2 tbsp beef dripping or tallow or ghee. Water to cover meat and veges. 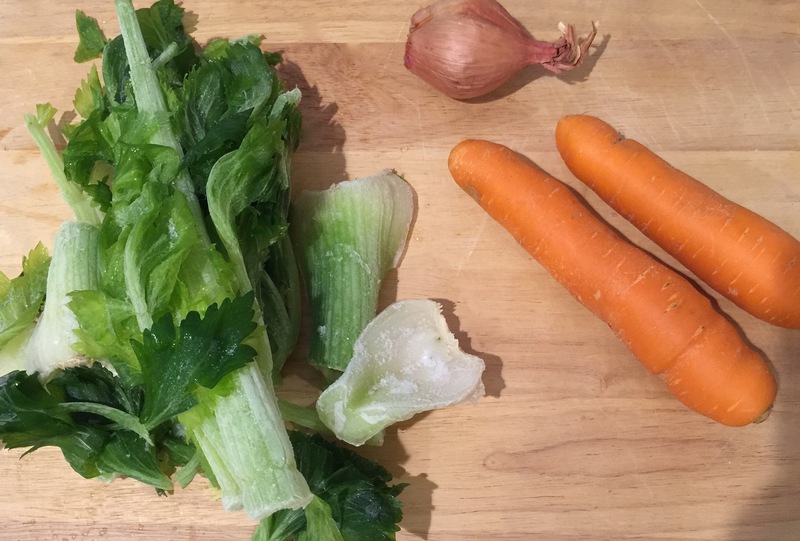 2 organic carrots, a bunch of celery leaves or a couple of celery sticks and an onion or shallot or two; all roughly chopped. 1 tbsp Apple Cider Vinegar – check that it has no extras only apples and preferably has a vinegar mother. 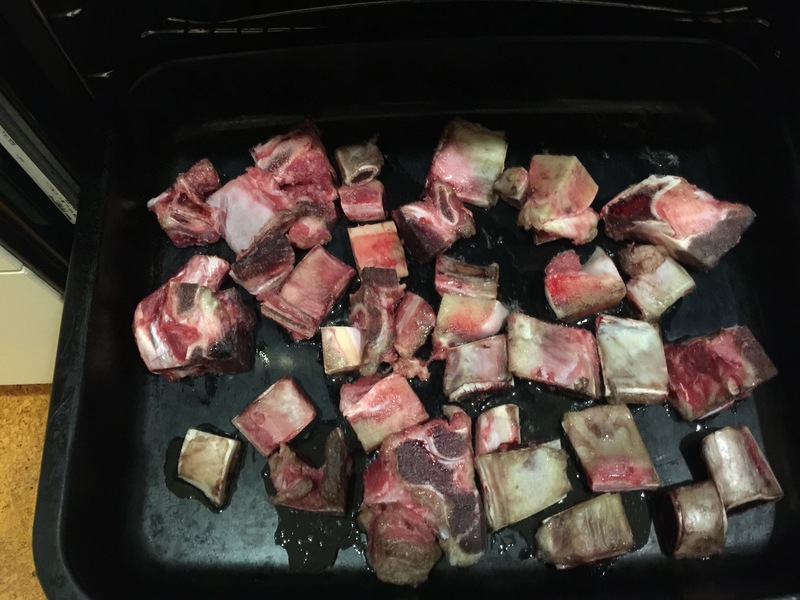 • Heat oven to 200C/375F, place beef bones and dripping/tallow/ghee in a roasting pan. • Roast for 15 minutes or until the bones are browned. • Wash carrots and celery then roughly chop them and the onion/shallot. 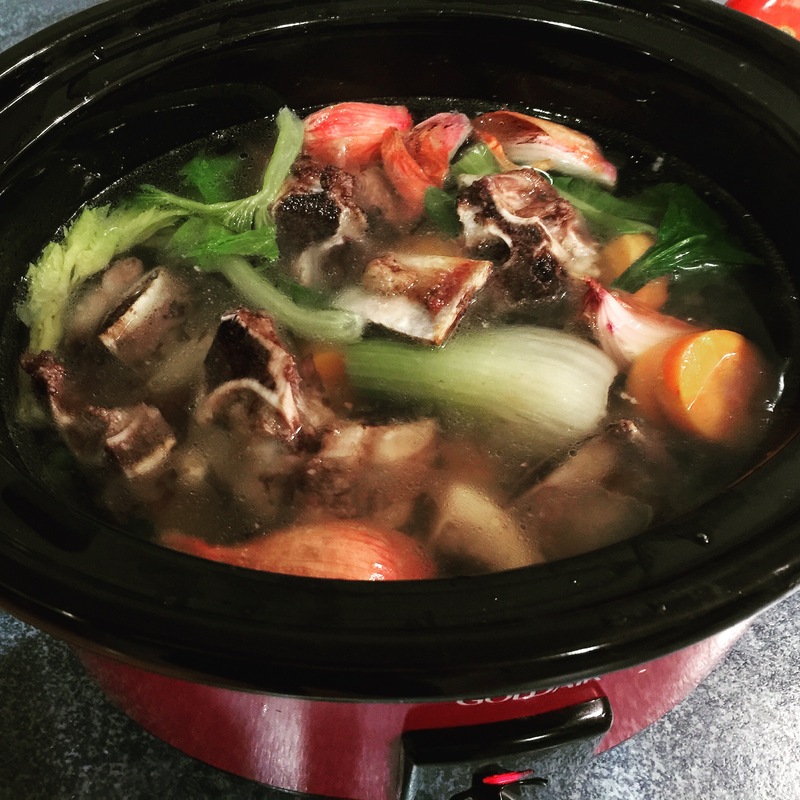 • Add roughly chopped onion, carrot and celery, along with the apple cider vinegar to the beef bones. • Add enough water to cover meat and veges. 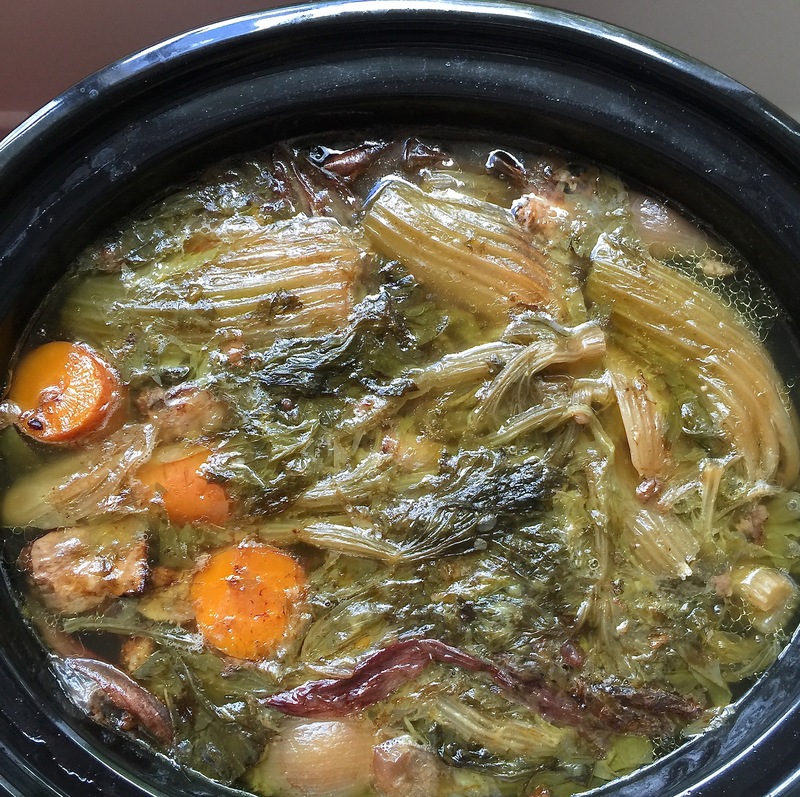 • Cook on a low setting in the slow cooker for at least 24 hours. • Strain and pour into containers. • Keeps for 5 days in the fridge or 3 months or more in the freezer. • On cooling a layer of lovely fat will form on the top. So glad you enjoy them Mari!